In the marijuana world, it is sometimes difficult to exchange information because there can be legal issues associated with marijuana (and especially growing marijuana). For that reason, online forums are one of the best ways to stay in the loop, receive help from more experienced growers, and share your expertise. Take a look at some of the best marijuana-related forums below. This forum is essentially the support page of the I Love Growing Marijuana website. It is a space for people to figure out some issues they’re having with their growing situation, and the beauty of it is that it is on the website of a reputable and well-known source. There are a huge number of topics and posts, ranging from beginner categories to indoor/outdoor, and even more specific topics (medical, hydroponics, etc.). In other words, the I Love Growing Marijuana forum is your one-stop shop to successfully growing marijuana. Visit this forum! This forum has just about anything you need if you are interested in marijuana or are growing marijuana. There are a variety of forums to choose from. They have forums on toking tools (including bongs, bubblers, water pipes, glass spoon pipes, vaporizers, E-cigarettes, and so on). There are forums simply on the smoking and usage of marijuana in general (including a question & answer section). There’s a medical Marijuana forum that includes information, applications, medical news, and industry news. Plus there are the Marijuana News Articles and Reform Discussions, and the so-called Chill Out Zone that includes lifestyle, general social forums, people’s stories, music, sports, and so on. In other words, if you are living the marijuana lifestyle, you need to be on this forum. Visit this forum! This is a forum that spans a huge variety of topics as well. There are hundreds of thousands of messages on the boards, and you’ll find anything from pictures of cannabis to drug testing. It is a forum that is based in the United States but also includes a board just for people from other world regions, as well as boards specifically for the entirely legalized states (Washington and Colorado, for now). Perhaps most impressive is its expansive forum list for growing marijuana. 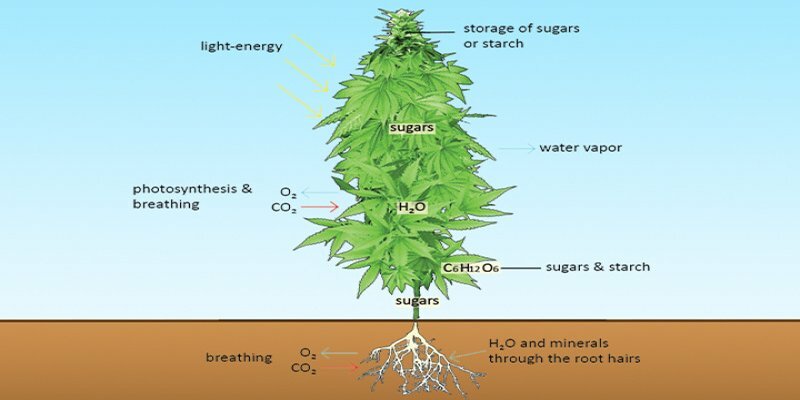 Each topic has thousands of messages and discussions, from basic growing to hydroponics to advanced techniques, totaling 12 different topics total (not to mention the multitude of topics within each one). If you are a marijuana grower, you should definitely be a member of Cannabis.com. Visit this forum! This forum is specifically geared towards people who grow marijuana or are somehow involved in cannabis cultivation. Its own subheading is, “Cannabis Cultivation Network,” thereby illustrating its main priority. Because of this, its topics are all geared toward marijuana growing and all the aspects of it. It has an extensive list of seed banks, a huge variety of topics geared around medical cannabis cultivation, and so on. It is a forum that places a high importance on medical cannabis specifically, although it also includes a lifestyle section as well as different boards for states that have legalized medical marijuana and a variety of different languages to be available for anyone interested from around the world. Visit this forum! This is another forum that mostly orbits around growing marijuana. It features forum topics such as “The Grow Room,” where everything is about indoor growing, outdoor growing, hydroponics growing, potential plant problems, organics, and much more. There are literally millions of messages within The Grow Room, making it an excellent and hugely up to date place to acquire the latest information. Its other large section of the forum is its “Cannabis Cafe,” which is all about building community and doing more than just discussing the methods for growing marijuana. Some of them have specific topics (politics, “stonable quotables,” fitness and well-being) while others are simply about chatting with like-minded people (“Toke n Talk”). If you are a grower looking for a true growing community, you should check out Rollitup. Visit this forum! This forum has some more specific rules and a helpful FAQ that anyone interested should read before joining. It explicitly states that the forum is specifically (and exclusively) for personal growers, rather than “cash croppers.” So, if those are the people you’re looking for, then this is the place for you! Everything on this forum is about growing marijuana. Anything else is considered “off topic” (although there are plenty of boards dedicated to those off topic topics as well, so fear not). There’s a section strictly for novices, making it a friendly place for newbies who don’t have to worry about sounding stupid. There are tons of forums and sub-forums about the various aspects of growing so you can be confident that anything you need is found here. Visit this forum! There aren’t as many posts or forum topics here as there are in some other forums, but that is precisely why many prefer a forum like this; they are actually able to get to know the people on the forum, rather than interacting with a whole bunch of strangers. Of course, there are still tens of thousands of posts and thousands of threads, so it is a place that is anything but inactive. One of its best forum topics (besides growing topics) includes medical marijuana methods of medication and treatment. It has facts and information regarding medical marijuana in every single state, making it an excellent source of information as well. If you need to find any scientific data regarding marijuana treatment, you will find a plethora of topics here. Visit this forum! With such a generic name, you’d expect a forum like this to cover a wide range of topics. And, indeed, you would be right! This forum covers everything from current events to religion, from cooking with marijuana recipes to passing drug tests. There are a variety of paraphernalia topics (pipes, vaporizers, etc.) as well as an entire section dedicated to fine arts. This forum is not as fast-moving as some other forums, but that is part of the appeal. You are able to scroll through various topics and read through the information already given, without having to sift through a stream of recent posts just to get back to the one you were originally interested in. Visit this forum! IC Mag, also known as International Cannagraphic Magazine, has its own forum and it is well worth stopping by. At any given time there are a few hundred members and several thousand guests visiting the website, making it an active and vibrant community of people interested in marijuana. Because it’s a magazine that has its own vendors, there is one forum topic simply called “ICMag Vendor Forums” that helps seed banks and other vendors reach out to their target audience with updates and information. If you have a particular vendor or seed bank you put your trust in, joining this forum is an excellent way to stay up to date with that company. Visit this forum! This is another forum that has a community slightly smaller than some of the others, making it appealing especially those who prefer to research and read rather than chat and meet people on a daily basis. The forum is presented by Jorge Cervantes, who wrote the New Marijuana Horticulture Bible. He asks for feedback from the forum members, allowing him to perfect his work, and allowing the marijuana growing community to educate themselves. There are, of course, a variety of forum topics related to growing marijuana, medical marijuana, and other general topics of interest. There are more than 17,000 members on this site, with nearly 150,000 posts altogether. It’s a great start for anyone who grows marijuana! Visit this forum! As its name implies, this is a forum for anyone who has a passion for growing marijuana. It features a “Bud of the Month” at the top of the site, including the name of the strain and the photographer’s username. Speaking of photos, there is one forum on this website that is specifically dedicated to “Marijuana Photography.” That hardly covers the entire site, however. There are forum topics for beginners, general growing information (for indoors and outdoors), information about lighting and your grow room setup, grow journals, potential plant health issues, and an entire section dedicated to advanced growing techniques. Wherever you lie on the growing spectrum from beginner to advanced, this could be a useful site for you. Visit this forum! This is a pretty active marijuana growing forum that often has 900 users online on any given evening. Most of these users are guests, but a hundred or more will likely be contributing members of the forum. In any case, this is a forum dedicated to “anything related to growing marijuana.” Promotions and sales are not allowed, but reviews and sharing of experiences are encouraged. It is a relatively new site, having been founded in September of 2016. The forum was created by the legendary NebulaHaze, a world-famous grower of marijuana and educator of others who like to grow. It seems fitting that there is now a forum that does just that for even more people. Visit this forum! This forum is more about the overall culture of marijuana rather than exclusively (or even mainly) being focused on growing marijuana. After all, there is a vibrant culture that exists outside of the marijuana cultivation world. There are more topics than you can count (and certainly way more posts as well) so you can rest assured knowing that, whatever you’re interested in, there is a topic on here for you. Visit this forum! Presumably getting its name from the “open source” concept, OpenGrow is all about growing marijuana and sharing information and experiences of it. There are all of the regular grow topics (beginner’s guides, grow room design, outdoor versus indoor growing, and so on) but there are also more science-focused forum topics such as the OpenGrow Tests, Reviews, and Interviews section. This allows OpenGrow members to test out certain products from suppliers, a clever idea that allows growers to try out new products and suppliers to gain some intel on how their products are working for consumers. Visit this forum! Although this is technically a sub-forum, it is worth mentioning nonetheless. This is the type of space for people who are interested in the science and social sciences surrounding cannabis. It is self-described as an “intelligent discussion of basic and advanced cannabis related topics,” showing that its entire purpose is to get to the bottom of the science of cannabis. If you are someone who is analytical or data driven and are interested in marijuana, this could be an excellent place to click through or even post on. Visit this forum! Another forum that is on the smaller side, this forum is nonetheless informative and useful, especially if you are willing to click through older posts. That said, some threads are quite up to date and active among its user base. This makes for the perfect opportunity to make lasting connections with other online users since you won’t be sifting through thousands upon thousands of posts and users. The topic sections covered on this website are “The Garden Center” (all about growing marijuana plants, of course) and High Society (everything related to the marijuana lifestyle). Visit this forum! This site is all about medical marijuana and cannabis in Australia, but it is nonetheless relevant for people all over the world. It includes news you may not hear about elsewhere, as well as updates on the medical marijuana world of research and information. There is a strain guide for medical cannabis (for anyone who needs or wants to use medical marijuana but needs more information about it), and there is an interesting section about Australian cannabis politics and activism. If you are interested in expanding your marijuana knowledge from just the United States to elsewhere in the world, you certainly may want to start here. Visit this forum! This website is quite popular in the marijuana crowd, with more than 74,000 members and more than 2,300 threads and 11,000 posts. It is a forum designed specifically for growers of medical or recreational marijuana as well as people who are interested in medical marijuana in general. 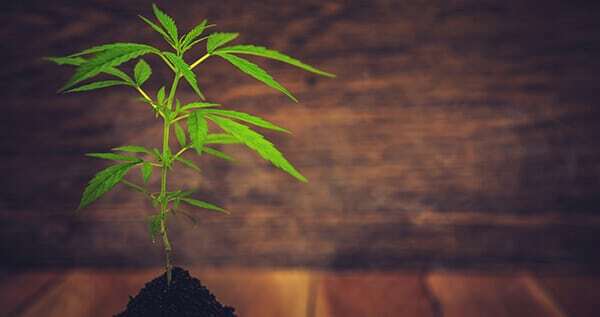 There are grow diaries, posts on germination through harvesting of marijuana plants, discussions on nutrients, and more growing topics than you’ll likely ever need. The medical marijuana discussion is particularly interesting, helping people understand their local laws as well as learn the most up to date information about the medical marijuana movement. Visit this forum! This is a site dedicated to making cannabutter, hash brownies, and tons of other tasty treats with marijuana infusions. Drugs-Forum is a small non-profit that helps people with addiction and drug information; that said, it has a healthy understanding of cannabis, and its Cooking with Cannabis forum proves that. Anything you need to know can be found here, from a variety of recipes to advice such as, “how to save moldy butter.” Posts can be rated, allowing for the most helpful posts to be viewed right away. Visit this forum! This site is designed for the self-proclaimed stoner. It helps with growing information, activism events, sought after items or ones for sale, and a variety of medical marijuana topics. Certain threads can only be viewed for those who have created a membership (they are marked “stoners only”), which means that it’s likely a good idea to sign up. Visit this forum! Although the entire site isn’t dedicated to marijuana, it does have a page about marijuana specifically (and a wide variety of forums that are connected to it). Whether it’s news, activism, medicinal marijuana, or just chatting in the “Stoners Lounge,” The Hip Forums has it all. Visit this forum! This is a site that is connected to Sensi Seeds, an online seed shop. It’s more than just seeds, though – its forum includes the entire culture behind marijuana. Growing myths, the seed bank FAQ, the latest news, and information about strains can all be found here at Sensi Seeds. Visit this forum! This forum is specifically geared toward the marijuana culture in the United Kingdom, which of course is vibrant and fascinating as well. There are plenty of growing tips to be had here, with hundreds of thousands of posts on the various aspects of designing a grow room, growing outdoors, different strains, and so on. Visit this forum! This is a forum dedicated to growing medical marijuana but also caring for those who need medical marijuana. Just like anything else to do with medical marijuana, it, of course, includes information about scientific research and medical marijuana news and current events. Not only that, but it also has a cooking section, making it perfect for those who don’t enjoy smoking. Visit this forum! This sub-forum is geared exclusively towards mothers (and expectant mothers) who are also marijuana users of various types. It is more or less like a support group for people who are looking for wider acceptance and comparisons of experiences. Whether it’s breastfeeding, dabbing, buying a bong, or simply being pregnant, it can all be found here. Visit this forum! This is an interesting forum because it is specifically about finding the best strains and the best landraces there are in the world. These hunters are physically going places to look for the best strains, and the members of this forum can suggest exactly where they think the hunters should go next. There are also the standard topics of medical strains, extraction methods, growing marijuana, and seed testing. Visit this forum! great blog. Finally, I have got some fine information about marijuana. Cheers Up Buddy I Think every state should approve marijuana as a medicine, Its really healing our body. Wow such a greate write up ILGM. Keep up with the educative work.